I am excited to announce that Cathleen Newsham, founding member of the New England Mosaic Society, will be teaching this workshop in my studio in March! Space is limited, sign up early! 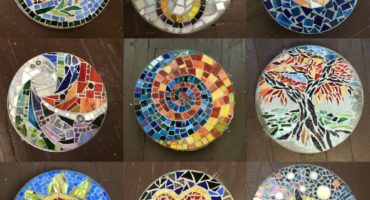 If you love mosaics and are ready to tackle installations but don’t know where to start, this is the workshop for you! 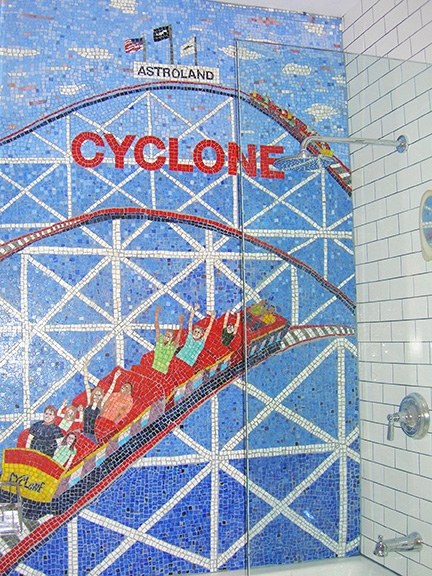 Taking on an architectural mosaic project can be a scary prospect! 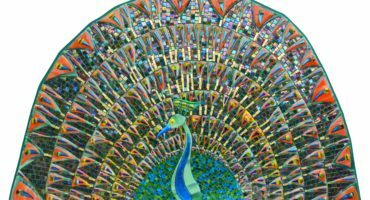 In this two day workshop, Cathleen Newsham, founder of Modern Mosaic Arts, will try to calm your nerves by showing you her tried and true techniques and sharing her experiences from 17 years of architectural mosaic creation. 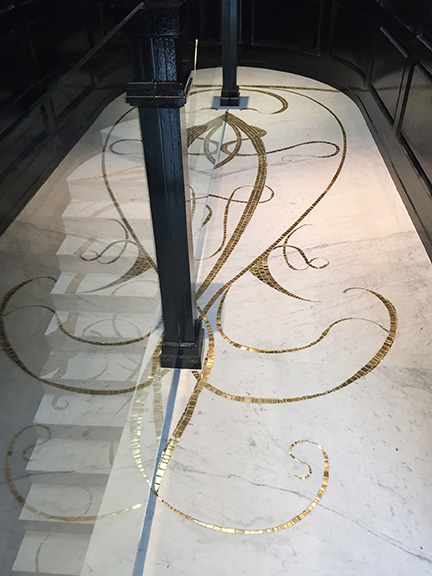 Detailing the initial process of pricing, presenting and designing, as well as sourcing, fabrication and installing, she will reveal her secrets to a successful mosaic installation. You will get an inside look at how a mural is made and how to turn your love of mosaic into a business that can be profitable and fun! This is a professional development workshop, so you will not be completing a mosaic. You will take home two small ungrouted test mosaics that will allow you to try the techniques we will be discussing, enabling you to feel confident in your abilities before starting a project of your own. The goal of this class is to listen and learn, not to create an art piece. Sign up now! Space is limited! Discount for NEMS members! You can see more of Cathleen’s work on her Facebook Page, or on her Website. 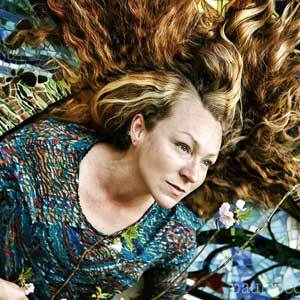 For 17 years, Cathleen has been designing, fabricating and installing architectural mosaics. 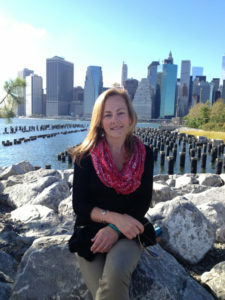 With degrees in graphic design and fine art, she continues her creative studies with accomplished mosaic and fine artists, learning new techniques and materials, and meeting other creatives from around the world. Between architectural and graphic design projects, you will find Cathleen traveling throughout the U.S. teaching the art and business of mosaic. 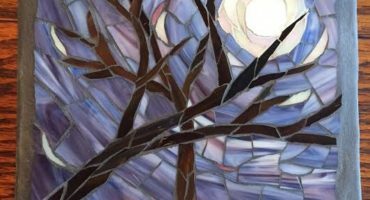 Fall Mosaic Workshops: Register Now! 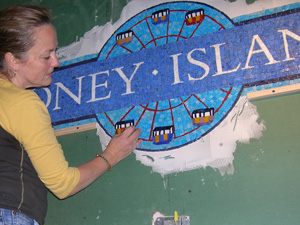 Christine Kenneally creates custom mosaic installations, fine art wall mosaics, mosaic jewelry, mosaic tables, and mosaic garden stepping stones. 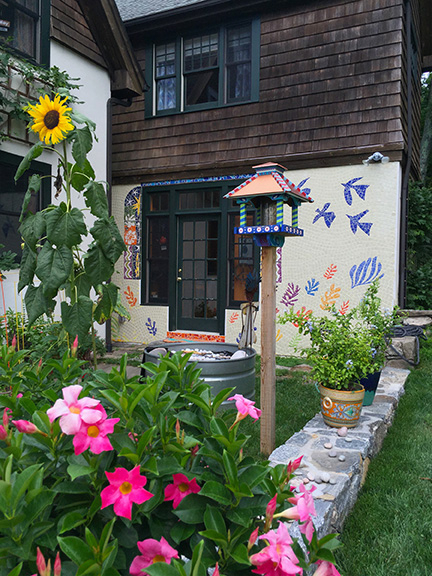 She teaches workshops to adults in her studio in Easthampton, Massachusetts. "Christine creates a wonderful atmosphere for learning the art and craft of mosaics. Her passion for the process is contagious!"